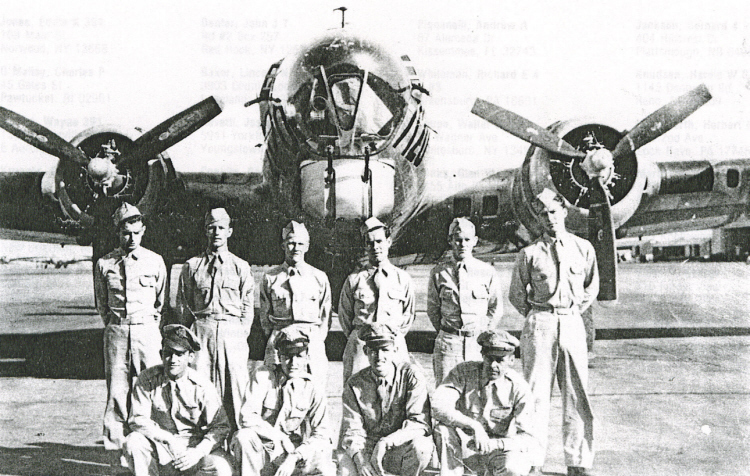 The Parkhurst crew in the US with training B-17G #7120. Standing L-R: J. Huling, Ken Lockwood, William Ilka, C. Keist, J. Fowler and R. Chaney. Kneeling L-R: F. Parkhurst (P), D. Mote (CP), C. Yarbrough (N) and L. Fossum (B).